AGUSAN DEL SUR, Nov. 24 (PIA) - A scientific study to rehabilitate the Agusan River is being proposed after reports from the Department of Environment and Natural Resources (DENR) and the Asian Development Bank (ADB) in 2010 that there are occurrences of problems of the water basin in its upper watershed areas in which the impacts are experienced throughout the watershed. According to reports, the main problems are the degradation of the watershed and the deterioration of river quality. Degradation, according to reports, leads to soil erosion, siltation of river channels and irrigation system and flooding. Geomorphologically, the present condition of Agusan River therefore is heading for peneplanation. The valley development is in its old stage as evidenced by the oxbow lakes, widening and meandering of river channels and rapid erosion of river embankments. For the Province of Agusan del Sur to implement the most appropriate solution to mitigate the impacts of future floods due to climate change, the provincial government has came up with the proposal to rehabilitate the Agusan River, thus, there is a need to undertake a scientific study which can serve as an input in rehabilitating Agusan River. In a meeting conducted by the Agusan del Sur Environment and Sustainable Development Council (ASESDC) who was tasked by Agusan del Sur Gov. Adolph Edward Plaza to review and recommend the proposal on November 18, 2014, Adnama Mining Resources Inc. (AMRI) presented their proposal to ASESDC to undertake the required geological study of Agusan River substrates or sediments as inputs to the rehabilitation plan of Agusan River. According to. Juanito Manzano, AMRI representative, the geological study aims to determine how thick the sediments are that underlie the current main river channel; determine or classify the type of sediments that underlie the main channel through the conduct of sedimentological analysis; to recommend appropriate engineering interventions based on the geotechnical characteristics of the underlyingnsedimants; determine the presence or absence of deleterious materials or substances present in the substrates that can likely affect the natural condition of Agusan River and; to establish the present terrain morphology within that part of the main channel including measurement of its flow rates. “The study that we at AMRI proposes will commence at Barangay Lankilaan, Trento on the south then downstream to the marshland in San Gabriel, Veruela with a distance of 37 lilometers. The study that we propose is free of any charges, therefore, the provincial government or whoever will pay nothing to us,” Manzano said. SAN JOSE- Dinagat Islands, Nov. 24 (PIA) – A total of P1,750,000 million will be released soon by the provincial government of Dinagat Islands through the Provincial Cooperative and Development Office (PCDO) to eight identified accredited cooperatives of the province. Dinagat Islands provincial information officer Ma. Jane Mayola bared that one of the programs of the province under the leadership of governor Glenda B. Ecleo is the Pro-LIFE (Provincial Livelihood Fund for Economic Development). BUTUAN CITY, Nov. 24 - The Department of Social Welfare and Development (DSWD) Caraga will join the nationwide holiday festival and bazaar celebration dubbed as “PaskuJuan” to herald the successes of the department's partner–beneficiaries. The festival will be conducted simultaneously in all regions of the country on November 30, 2014 (Sunday). In Caraga, it will be held at the Guingona Park, Butuan City. It will commence at 7:45 a.m. with a mass at Saint Joseph Cathedral. To highlight the festivity, the Sustainable Livelihood Program (SLP) participants will showcase their products as bazaar concessionaires. "Ito na ang pinakamalaki, makulay, at masaya na pagsalubong sa kapaskuhan. Magsalu-salo po tayo sa pagbabago (This will be the biggest, colorful, and happiest welcome for the Christmas season. Let’s get together for the change)," DSWD-Caraga regional director Minda Brigoli expressed. Brigoli encouraged all Caraganons to support and patronize the products of the beneficiaries. "PaskuJuan is a venue for the different Pantawid Pamilyang Pilipino Program and Sustainable Livelihood Program beneficiaries in the region to sell their livelihood products," shared Brigoli. Along with the activity will be the launching of the “Kaya Ko ang Pagbabago” Social Media Sites; Signing of the Memorandum of Agreement with Civil Society Organizations (CSOs) under Voluntary Service; Oath Taking of the Regional Juvenile Justice Welfare Committee (RJJWC). BUTUAN CITY, Nov. 24 - The Department of Tourism (DOT) Caraga Region joins the bandwagon in the launch of ‘Visit the Philippines Year 2015’ on November 26, 2014. The big event shall unravel more of the fun reasons to visit the 7,707 island adventure country. Caraga Region for its part shall roll-out its top events, activities and programs to entice more tourists to come. The launch will feature series of activities on November 26, 2014. The big event shall kick-off with a motorcade. Also, Caraga’s finest destinations shall be showcased in a Tourism Exhibit at the Robinson’s Place Butuan City. The exhibit will also house photos of the region’s exciting attractions and jaw-dropping adventure activities. One will savour Caraga’s delightful colors, culture, sounds and sights with the evening highlight of Caraga’s Cultural Presentation. Assistant Secretary Arturo P. Boncato of DOT and Chief Operating Officer Domingo Ramon C. Enerio III of the Tourism Promotions Board are expected to grace the event. They will be joined by the chief executives of the region’s local government units, partner agencies, private sectors and other tourism stakeholders. The convergence is an opportunity to renew partnerships and explore on other areas of cooperation with stakeholders for tourism. DOT Caraga regional director Leticia Tan foresees brighter years for tourism in Caraga. She bared that the Regional Launching of the Visit Philippines Year 2015 is expected to impact a substantial increase in tourist arrivals for Caraga. Tan added that in 2013, a growth rate of 15.74% was achieved. This year, tourism is likely to exceed its targeted growth. She quipped that with DOT’s Visit the Philippines Year 2015 Campaign, continued positive growth on tourist arrivals is sure to escalate. BUTUAN CITY, Nov. 24 (PIA) – The Department of Environment and Natural Resources ( DENR) Caraga Regional Director Nonito M. Tamayo commends the Municipality of Del Carmen, Siargao Islands in the province of Surigao del Norte for its efforts in protecting the mangrove forest and promoting eco-tourism in the area. On November 15, the 1st ever Mangrove Protection and Information Center in the Philippines was launched at Del Carmen as part of their “Siargao It Up!” project. The center is a legacy of Metro Pacific Investments Foundation through “Shore It Up” and the Municipality of Del Carmen to the people of Siargao. “This is a project of the Metro Pacific Investments Foundation with the support of the Manny V. Pangilinan (MVP) group of companies as part of the “Shore It Up” program. Shore It Up is a program which promotes environmental awareness of the whole country. “Our aim is to be nationwide. Since Del Carmen is the second largest in terms of mangrove forest in the Philippines, we decided to focus on protection rather than propagation,” said Vice President for Public Relations and Corporate Communication of the Metro Pacific Investments Corporation, Ms. Melody Del Rosario. That’s how we come up with a Mangrove Protection and Information Center. We established a center to let people know of the importance and benefits of mangroves in terms of biodiversity and its contribution to the safety of the coastal communities,” del Rossario added. The center was funded by the Tourism Infrastructure and Enterprise Zone Authority or TIEZA through Undersecretary Mark Lapid. This facility shall serve as the center for the protection and propagation of mangrove trees in the coastal estuaries, including the rehabilitation of degraded mangroves in the whole island of Siargao, while providing information for locals, tourists and guests on the value and benefits of mangroves in our ecosystem. Mangrove forest is sanctuary to several rare and endangered wildlife species such as the Philippine Cockatoo, Hawksbill Turtle, Green Sea Turtle, Golden Crown Flying Fox, Dinagat Gymnure, Olive Ridley Turtle and Endangered Dugong. It prevents soil erosion, protects coastline from strong winds and waves, and filters off agricultural run-off and pollution. It is also a breeding ground for different marine organisms. It is a source of food, medicines and firewood. It supplies dissolved organic matter for nutrient cycle. “What we have done in the past is reaping now. We can already feel the effects of climate change. It is not too late, we can still do something. To be able to mitigate it, we need to do something sustainable that is why we came up with this. Mangrove serves as barriers for tidal waves so it is our first line of defense,” del Rosario said. Siargao has an approximately 8,600 hectares of mangrove cover which is the second largest in Mindanao and 4,000 hectares of contiguous mangrove stand in Del Carmen which is the largest in the Philippines. Out of the 54 mangrove species worldwide, 44 can be found in Del Carmen. And the Crocodylus Porosus which is the largest of all living saltwater crocodiles can be found in Del Carmen mangrove forest. SURIGAO CITY, Nov. 24 (PIA) – A group of twelve composed of officers and members of Tagana-an Women’s Federated Association (TAWFA) headed by its president Cristina Diaz went through a Seaweeds Processing Study Mission at Indog Lianga Sociaty, Inc. (ILSI) in Lianga, Surigao del Sur on November 14, 2014. The study mission is one of the activities laid out in the implementation of the seaweeds based food processing project under the 2014 Grassroots Participatory Budgeting (GPB) program facilitated by the Department of Trade and Industry (DTI). 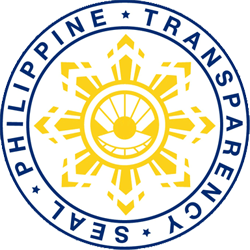 According to DTI-Surigao del Norte provincial director Celestino L. Negapatan, , the municipal government of Tagana-an received P500,000 earlier this year for the implementation of the said project. He said that ILSI is a promising organization that manufactures Lianga Seaweeds Pickles, a seaweed-based product which already achieved foreign market acceptance. “The TAWFA together with DTI-Surigao del Norte found opportunity to benchmark at ILSI to learn first- hand winning business model and some best practices that could be applied to the seaweeds processing project in Tagana-an,“ Negapatan said. TANDAG CITY, Nov. 24 (PIA) – Surigao del Sur and Tandag City Divisions of the Department of Education (DepEd) are tasked to jointly host the simultaneous holding of the Regional Schools Press Conference (RSPC) and the Regional Festival of Talents (RFOT) on November 25-28, 2014 in this city. DepEd Caraga Regional Director Atty. Alberto Escobarte said that about 5,800 delegates from 12 DepEd Divisions in the entire region are set to participate during the four-day event that will be held on separate venues - the RSPC at Jacinto P. Elpa National High School (JPENHS) while the RFOT at Surigao del Sur State University (SDSSU). He likewise cited that both occasions carry different themes: “Empowering Resilient Communities through Campus Journalism” for RSPC and “Opportunity, Creativity and Innovation for School Change and Development” for RFOT. It was learned that the seven top winners for journalism/writing as well as technology and home economics events will be the bets for Caraga region during the 2015 National Schools Press Conference (NSPC) and National Festival of Talents (NFOT) that will take place in Taguig, Metro Manila. TANDAG CITY, Nov. 24 (PIA) - The Agricultural Training Institute (ATI) in Caraga spearheaded the 1st Regional Techno Gabay Summit last November 10-12, 2014 held at ATI- Regional Training Center, Los Angeles, Butuan City and the expository tour in Davao region. It was joined by different local government units (LGUs) and state universities and colleges (SUCs) with established Farmers Information and Technology Services (FITS) center in the region supported by ATI-13. The summit aimed to gather different practices implicated in different approaches done by FITS centers in the region, exchanging best practices, and enhancing capability to provide basic information services to farmer- clients. ATI-13 officer-in-charge training superintendent Robert Poculan revealed on his message during the opening ceremony that the activity will enhance the expertise of FITS personnel and will definitely boost each morale in establishing coherent information provided to farmers, students, women, and even extension workers. "This is the first time that ATI conducted this activity, many have been called but only few responded. So, congratulations to all of you,” he added. Meanwhile, topics related to ASEAN Economic Communities (AEC) Integration were discussed also by Sammy Calonzo, ATI Program/ Project Officer on Livestock and Organic Agriculture. He pointed out that not all organic products will be automatically being considered as good agricultural practices (GAP) certified, certification will focus on the product itself. The summit also provided a venue for the awarding of Best FITS Center, Best Farmer- Scientist, and Best Video Documentation where Surigao del Sur bagged awards on some of these categories. On the other hand, second part of the activity has exposed each participant in some top performing FITS centers in Mindanao as well as farm practices through an expository tour. The group went to Banay-Banay, Davao Oriental on the second day to observe outstanding implementation of the Techno Gabay Program. The group also visited ACES Organic farm in Panabo City as a final packaged of the aforementioned tour to showcase organic agriculture interventions. "Working with organic farming practices needs great patience and perseverance," said Francisco Dela Pena, ACES farm manager. TANDAG CITY, Nov. 24 (PIA) – The Office of the Provincial Agriculturist – Tandag Farmers Information and Technology Services Center (OPAG-Tandag FITS Center) grabbed the title as Best FITS Center in the region during the 1st Regional Techno Gabay Summit 2014 held recently at the Agricultural Training Institute - Caraga Regional Training Center (ATI- CRTC) in Los Angeles, Butuan City. Around 23 FITS center in the region from different local government units (LGUs) and state universities and colleges (SUCs) supported by ATI-13 participated in the selection process. The conduct of evaluation lasted for a month, scrutinizing each of them to finally identify the best FITS center. As a reward, the center received a desktop computer package, plaque of recognition and future funding assistance from ATI-TGP. "This will be the starting point for more interventions to be initiated by ATI for the existing FITS center as we anchored the Techno Gabay Program,” said Fil Victor A. Babanto, Project Officer II and e- Extension coordinator. He said that the computer package award will serve to accommodate walk-in clients. Also, Richard Virtudazo, a soybean farmer from Anahao Bag- o, Tago, Surigao del Sur, was also recognized as Best Farmer Scientist or Magsasakang Siyentista (MS) and received a certificate of recognition and a cash prize worth P10,000 as a token for his exemplary contributions in developing soybean industry in the province. "The center deserves what they have right now. Teamwork among Technical Services Specialists (TSS) and Information Services Specialist (ISS) of the OPAG - FITS center drives them to make it on top," said ATI-13 officer-in-charge training superintendent Robert T. Poculan, "My sincere congratulations to Mr. Quico on this accomplishment," he added. AGUSAN DEL SUR, Nob. 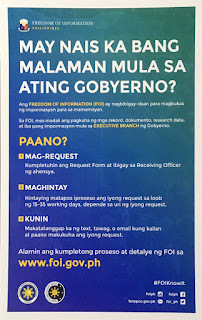 24 (PIA) - Ang kasalukuyang pagtugis laban sa grupo ng Abu Sayaff ay nagresulta sa pagkamatay ng isa na naming lider ng grupo, isang opisyal ngPalasyo ang nagkompirma noong Linggo. Sa isang panayam sa pamamagitan ng DZRB Radyo ng Bayan noong Linggo, sinabi ni Presidential Communication Operations Office Secretary Herminio Coloma, Jr. na an glider na si Sihata Latip ay namatay sa isang engkwentro lban sa pinagsanib na pwersa ng kapulisan at ng military noong Sabado ng hapon. "Patunay lang po ito sa determinasyon ng pamahalaan na masabat at mapigil ang mga krimen na isinasagawa ng mga bandidong elemento katulad ng Abu Sayyaf Group sa lalawigan ng Sulu," sabi ni Coloma. Ayon sa pinagsanib na komander ng pinagsanib na grupo, Col. Alan Arrojado, ang engkwentro ay naganap noong Sabado mga bandang 4:45 ng hapon sa Barangay Duyan Kaha sa Sulu ng si Latip ay hindi sumuko ng arestuhin. Isang sundalo rin ang namatay habang ang isa naman ay sugatan noong nagkaputukan. Isa ring lider ng grupong Abu Sayaff na si Airullah Asbang at walo pang rebelde ang namatay noong nakaraang Nobyembre 14 pagkatapos ng isang engkwentro laban ang tropa ng pamahalaan. Hinikayat din ni Coloma ang iba pang residente ng Sulo na ipagpatuloy ang pakipagtulungan sa otoridad.